The Lynx bedside tables are a perfect addition to any bedroom. The nightstands are constructed from MDP with a high quality finish. The Lynx bedroom range comes in a variety of colours, making sure you will be able to find the colour to match your bedroom decor. Having a bedside table enables you to keep must have items near you during the night, whether it is a pair of glasses, lamps, mobile phone or a glass of water. 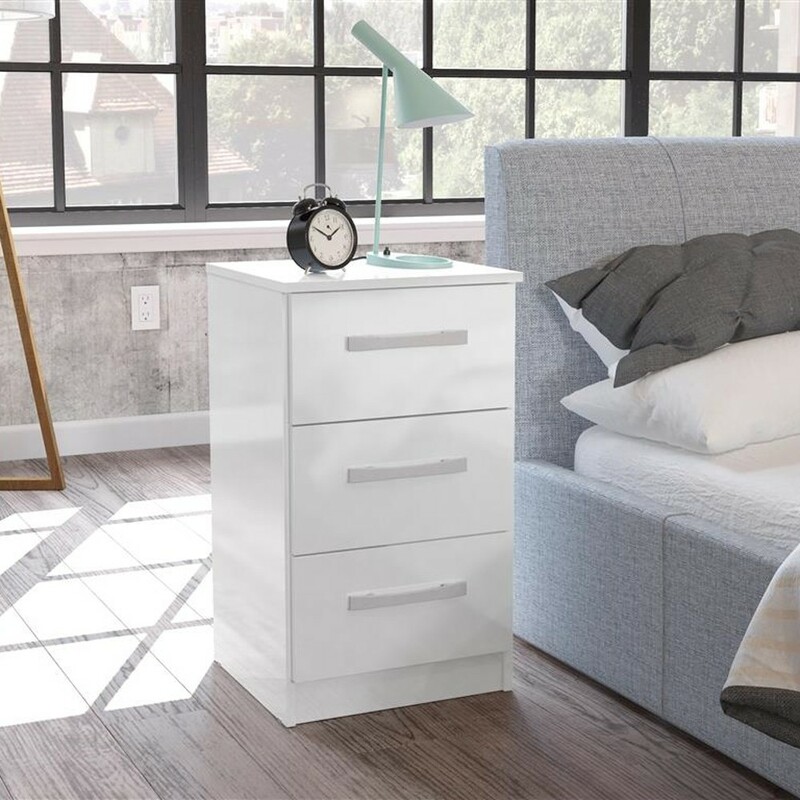 There are 3 storage drawers on the bedside tables which all feature horizontal metal handles on the drawer fronts. Тhe Lynx bedside tables are supplied flat packed, they are easily assembled using the instructions provided. The product is part of the Lynx White Wooden Bedroom Furniture Collection.